This week in Coat Defense’s continuing series, Our Riders, we spoke to 25 year old aspiring rider, Tori Bokum. Tori grew up in Buffalo, New York where she completed in area 1 and trained with USEA President, Carol Kozlowski. She is now based out of Purcellville, Virginia at Windchase with trainer Phyllis Dawson. We were able to catch up with her about some of her past work, and see where she is headed for 2018. How did you get involved with you local horse community and show circuit? Tori: When I moved to Virginia in October 2013 I became a working student for Phyllis Dawson. Phyllis is extremely involved with the USEA, which got all of her working students involved. I am working on becoming more involved at the local level and am currently working on setting up some clinics with the Tri-state riding club! Who are some of your mentors and influencers that inspire you to keep learning and riding? Tori: Phyllis Dawson has to be my number one mentor and influence. She has shown me how much hard work and perseverance pays off. Ever since I met Phyllis in 2013 she has been my #1 supporter and has given me every opportunity to learn, grow, challenge, dream, and attack the horse world at the best of my ability. She always there to help, whether I'm trot setting or taking a lesson she's always pushing me to be a better rider and horsewomen. Terry Williams has to be another incredible mentor and influence. Unfortunately he passed away from cancer when I was younger, but even at a young age he believed in me and gave me amazing opportunities to ride incredible horses (Abercrombie and Charlie Brown). His horse, Abdullah, went to the Olympics for Show Jumping and Terry was the first person to show me how you act once you are involved with a champion. Terry and Phyllis both have taught me that you stand with your head high and your heart higher. You push others to be the best they can be by showing them what success looks like. You be kind and understanding, yet tough and expect the highest standards and teach people how to reach those standards. Which of your horses has been one of your biggest teachers? Tori: Definitely Like Magic. Magic is an 8 year old off the track thoroughbred who has shown me what it's like to have a truly unique partnership with an animal. I bought him with the help of Phyllis Dawson from Katie Willis. He had just done one beginner novice unrecognized event when I bought him. Over the last two and a half years he has taken me places I've been dreaming of and working toward for a long time. We went to FL for our 2017 winter season and had a successful move up to Preliminary with the help of Sara Kozemplik Murphy and her husband Brian Murphy. We then took 3rd at the United States Evening Championship at Preliminary and continued on to try our hand at a CIC1* at Plantation Field where I had an unfortunate fall. We finished our season placing top 3 in all our Preliminary events! He sees me and he is happiest horse in the world. He's my best friend and the best teammate I could ever ask for. His heart is so much bigger than he is (he's only 15.2hh!). We get the comment a lot about how small he is, but I swear he just puffs up bigger and wants to show how small but mighty he is! Coat Defense is a small up and coming company, what made you reach out and try these products? Tori: I met Sandy and Vince for the first time at MDHT in Virginia, then met Vince again at Rocking Horse in FL. He was set up outside of Top Rail Tack where I jokingly said that he should convince them to sponsor me. With that he gave me a sample and told me to email them with how I liked it. Magic was new to FL and had a terrible allergic reaction to what we believe was the bacteria in the sand. Within a week of putting the powder under his blankets his hair was growing back! I couldn't email Vince and Sandy fast enough about how much the product had helped my boy. That's when they decided to sponsor Magic and I. I'm so beyond proud to represent Coat Defense. It's a product that works and a company that genuinely cares about helping horses. Tori: Magic and I want to be a successful and competitive FEI team. 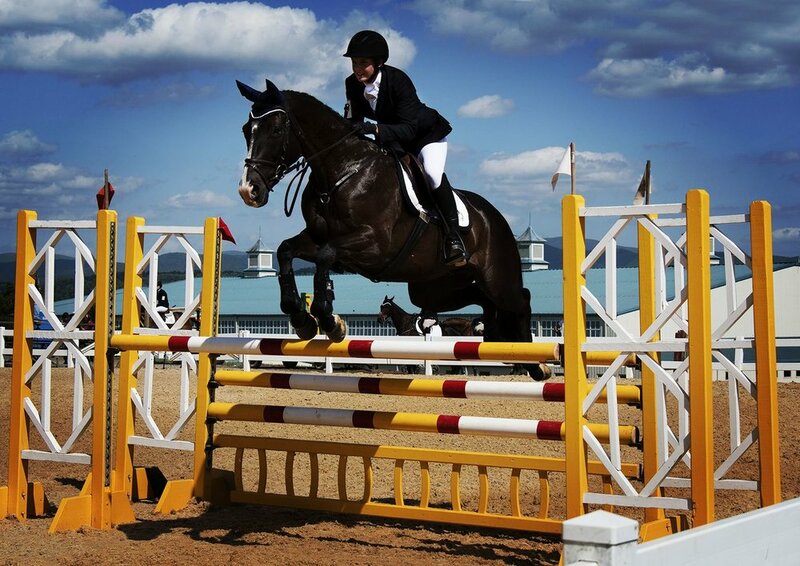 We plan to compete at some Preliminary events to get ourselves in the most prepared state we can be and then take on the CIC1* international horse trails at Morven Park and Loch Moy. 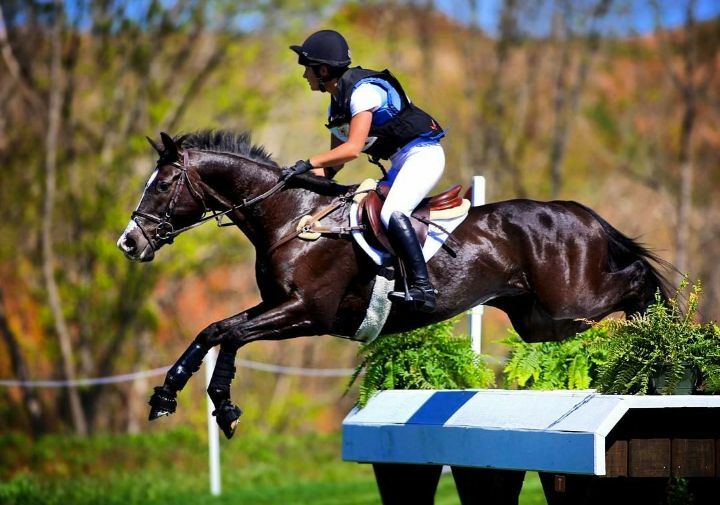 We also are planning to run our first CCI1* at the Virginia Horse Trials in November! We want to send our thanks to Tori for taking the time to talk to us and continuing to recommend Coat Defense to fellow riders. We wish her the best of luck in 2018 and will continue to support her and her riding career endeavors!